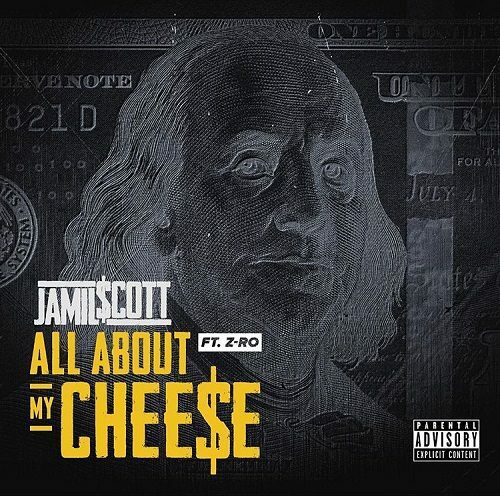 Cash rules everything around Jamil $cott on his new single “All About My Chee$e”. The Jacksonville, Florida rapper taps Houston, Texas veteran Z-Ro to collaborate for an absolute banger. The Hi-Tek Entertainment representative may have on his hands for his upcoming Milnotik Music project set for release July 9th. $cott displays a unique double-time flow pattern that is a breath of fresh air over an instrumental that is typically approached with a certain formulaic cadence. There is something special about the way Jamil $cott attacks the mic and you get the feeling that he will be bodying instrumentals like this for years to come. Check out “All About My Chee$e” below and look out for Milnotik Music.